One of the liveliest events on Grand Canyon’s summer calendar is the annual 4th of July Celebration hosted by the Grand Canyon Chamber and Visitors Bureau. The festivities will begin at 2:30 p.m. with a homespun parade on Highway 64 through Tusayan, the gateway community located a mile south of Grand Canyon National Park. After the half-hour parade there will be games for kids, picnic-style food & beverages, and live music by the band Stylus. 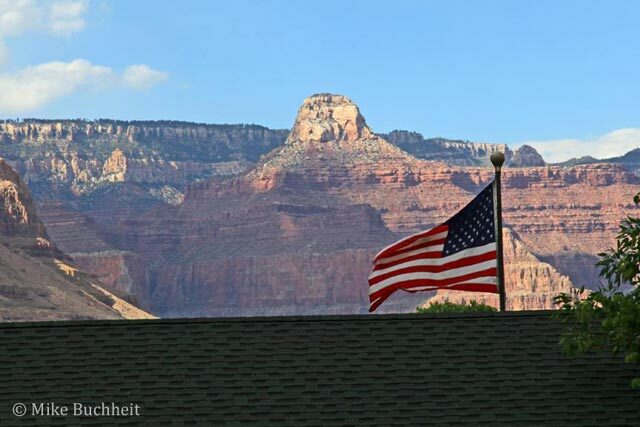 Due to wildfire danger there will not be any fireworks, but with a 7:00 p.m. finish time, you’ll have just enough time to scamper to the South Rim to enjoy a Grand Canyon sunset over one of America’s national treasures.